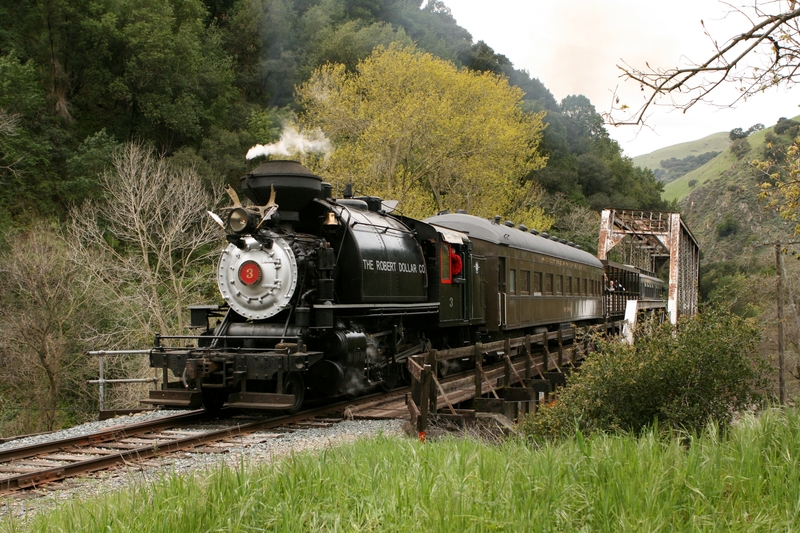 The Pacific Locomotive Association, Inc., a 501(c)(3) nonprofit organization, operates Niles Canyon Railway as a living history museum interpreting the importance of our heritage railroads in the development of California and the nation. The purpose of the organization is to preserve the physical aspects and atmosphere of Pacific Coast railroading during the period from 1910 to 1960. 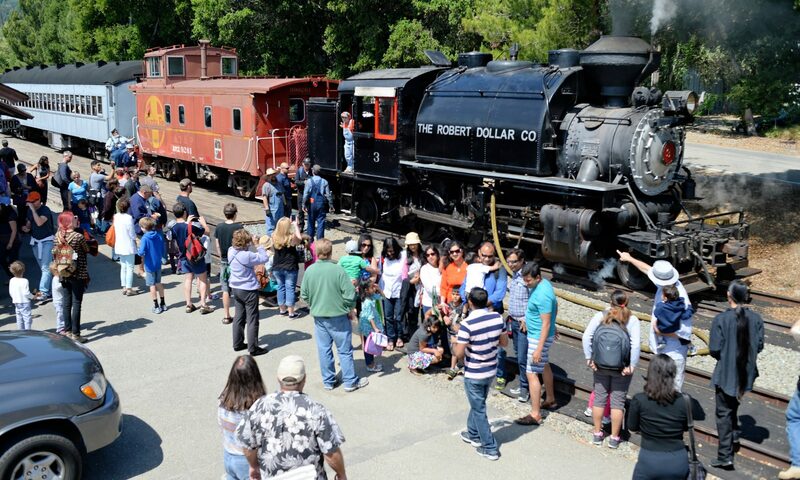 Our mission is to develop and operate a working railroad museum for the benefit of the general public. 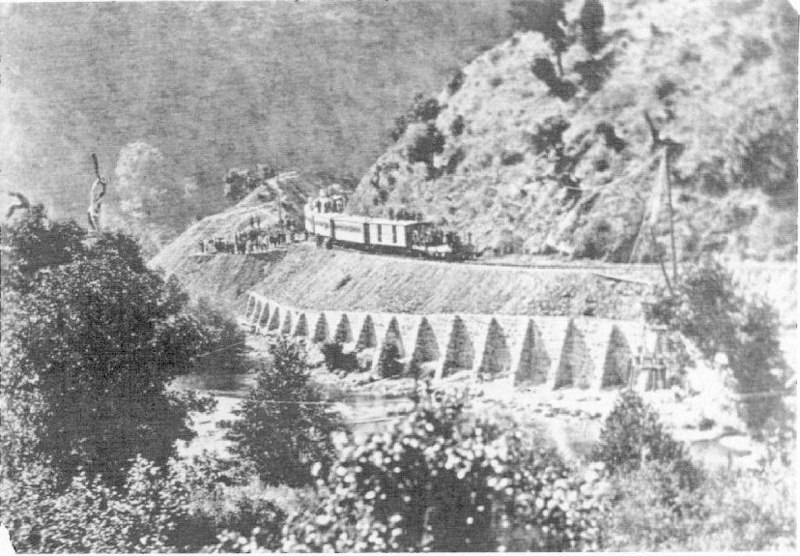 The Federal Commissioner’s inspection train in Niles Canyon at end of track. The Federal commissioner’s inspection qualified Western Pacific Railroad (of 1862) to receive the government bond for the construction of the first twenty miles of the railroad. Robert Dollar #3 at Farwell Bridge.